The signing ceremony. DSME picture. 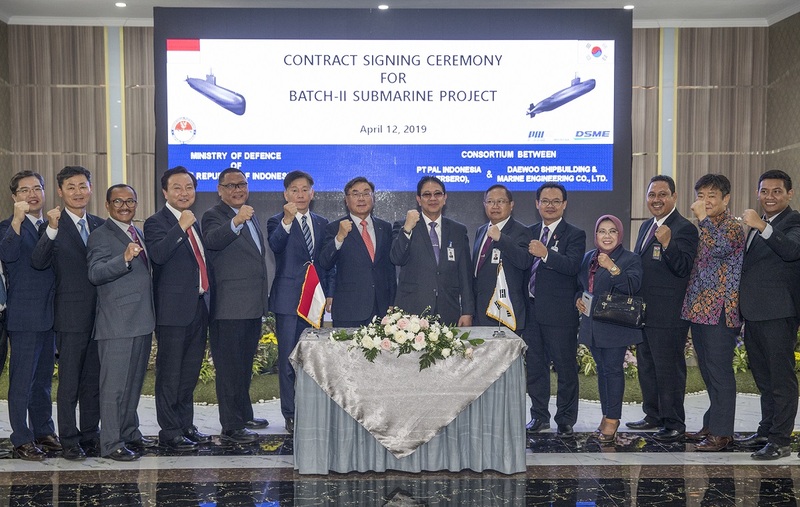 Indonesia on Friday signed a US$1.02 billion contract for the procurement of three 1,400-ton submarines (DSME 1400 type) from South Korea's Daewoo Shipbuilding & Marine Engineering (DSME). According to DSME, the submarine, which was ordered this time, has a total length of 61 meters and can carry 40 crew members. It is fitted with eight torpedo tubes capable of launching various torpedoes, mines, and missiles. The DSME 1400 project is an upgrade of the built-under-license Type 209/1200 with increased length (up to 61.2 m) and displacement (about 1,400 tons underwater). 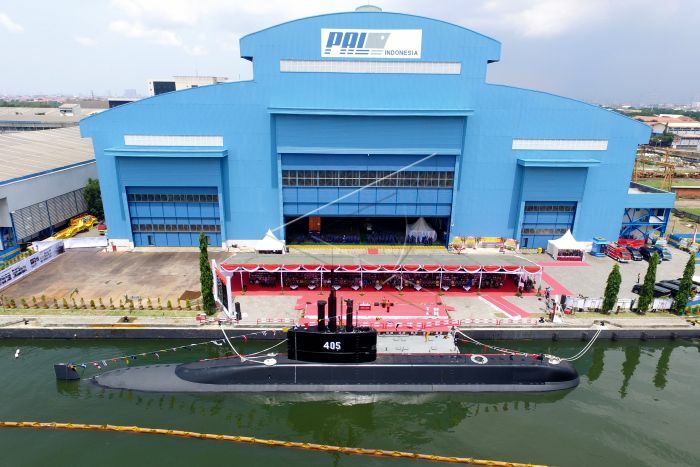 Under the terms of the contract, the first two boats for Indonesia were to be built by DSME in South Korea with delivery in 2016–2017, and the third submarine was to be built locally (actually assembled from sections) by PT PAL with technical assistance from South Korea. This new submarine contract runs until the end of March 2026, meaning the third and last submarine is set to be delivered by then. 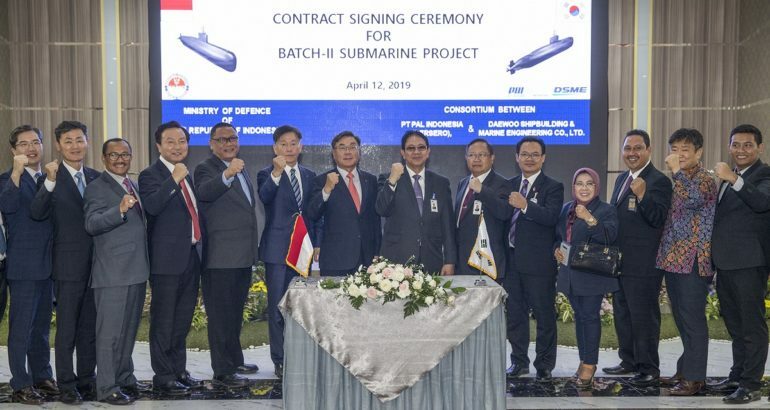 As for the first submarine contract signed in 2011, it will be a collaborative effort between the South Korean and Indonesian (TNI AL) industry with parts built in both countries. Alugoro (405) is the third of the Nagapasa-class submarine. DSME picture. The signing ceremony in Bandung, West Java, coincided with the launch (one day prior) of Indonesia’s first locally built submarine: The Alugoro (405) which is also the third of the Nagapasa-class submarine for Indonesia’s Navy (TNI AL). For the record, following an international tender, DSME signed on December 20, 2011 a contract worth $ 1.1 billion to build three DSME 1400 submarines for the Indonesian fleet. They are an evolution of the German Type 209/1200 which was built for the Republic of Korea Navy in the 1980-1990 years (Chang Bogo-class).